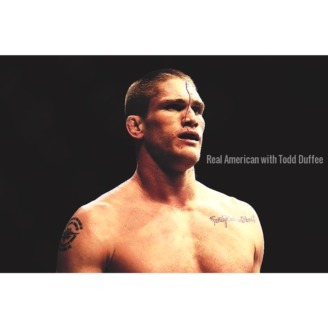 Real American with Todd Duffee and Josh Oppenheimer is a conversation between two friends, training partners, thinkers, and explorers. Tune in to experience the world from the perspective of these Real Americans as they live life by the horns in Santa Cruz, California. Todd Duffee and Joshua Oppenheimer meet with Heavyweight Glory Kickboxer Chopper Chi to discuss his upcoming fight this weekend. After training at the beach, the guys sit down to talk fighting, life, and sharks. Settle in and Enjoy!